Leyland Skip Hire aim to meet all domestic and commercial needs when it comes to waste disposal, hence why we have a variety of skips available. 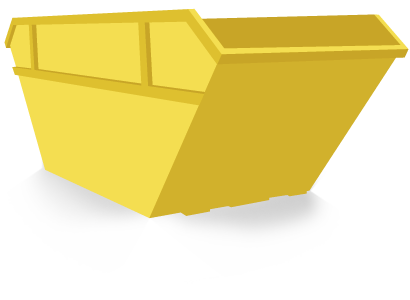 Our skips are available in a range of sizes, offering suitability to your specific needs and requirements. For us at Leyland Skip Hire, no project is too big or too small, we provide you with a solution for all your waste disposal concerns! If a skip isn’t exactly what you had in mind, you needn’t worry- we have tipping and weighbridge facilities- we offer something for everyone! We provide skips to suit your individual requirements. All it takes is one phone call to arrange a suitable date and time for your skip to be delivered. Then once your skip is full; give us a call and we’ll collect your skip from your property or site, taking care of the contents within your skip. We look after the environment on your behalf- ensuring environmental sustainability. Do you have a large project and need a waste managment soltion? "Leyland Skip Hire is the company I've always used for skip hire services. I have never been disappointed, the staff are very helpful, always on time and it has got even easier to book a skip. I certainly will stick to using Leyland Skip Hire in the future." "Leyland Skip Hire are the most reliable skip hire company around. Every time i have used them, the staff have been really friendly and helpful, the skip has always been delivered and picked up on time, and the prices are the best around. I recommend Leyland Skip Hire to everyone." "My past experiences with skip hire companies haven't been great. But then I found Leyland Skip Hire and their prices, their friendly and helpful staff as well as their reliability, reassured me that skip hire can be easy when you find the right company. I will definitely be using Leyland Skip Hire again."